Under s. 165.25(16), Wis. 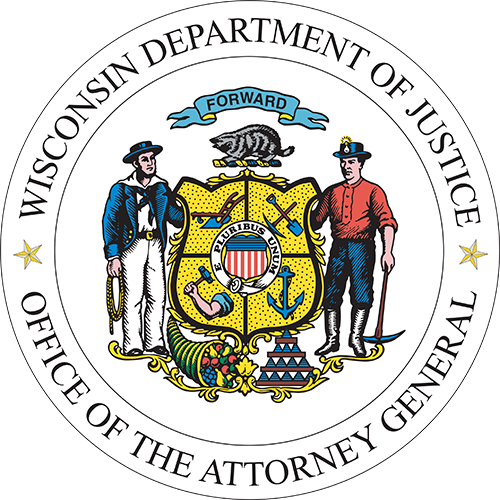 Stats., DOJ is required to establish a list of states that issue a license to carry a concealed weapon, if that license requires, or designates that the holder chose to submit to, a background search that is comparable to the type of background check that DOJ is required to conduct for Wisconsin licensees. The Wisconsin background check includes two components: (1) a criminal history record search; and (2) a search of the national instant criminal background check system (NICS) operated by the Federal Bureau of Investigation. Any person who is at least 21 years of age, who is not a Wisconsin resident, and who holds a valid concealed carry license issued by any of the states on DOJ’s list will be recognized in Wisconsin as an out-of-state licensee, per s. 175.60 (1)(g). DOJ has now promulgated an administrative rule, Wis. Admin. code s. Jus 17.13, under which DOJ will maintain on this website a list of all states that DOJ has found to conduct background checks comparable to Wisconsin’s. In developing that list, DOJ determined that a background check is comparable to Wisconsin’s only if it includes both a criminal history record search and a NICS search. It is necessary to require inclusion of NICS because that database includes some data related to potential disqualifying conditions that is not included in other national background check databases or in databases operated by individual states. In establishing this list, DOJ has tried to be as inclusive as possible and has communicated with officials in every other state to obtain information about their background check laws and policies. This information is current as of 04/05/2016. A Wisconsin resident must have a Wisconsin concealed carry license in order to carry in Wisconsin, even if that individual holds a valid concealed carry license from another state. Virginia NON-RESIDENT license only. Virginia resident license does not qualify for recognition in Wisconsin. West Virginia license ISSUED OR RENEWED AFTER 06/08/12. This DOES NOT include any provisional licenses. Alaska license ISSUED OR RENEWED ON OR AFTER 01/14/2013. Missouri license ISSUED OR RENEWED ON OR AFTER 08/28/2013. This DOES NOT include any provisional license issued by the state. Nevada license ISSUED OR RENEWED ON OR AFTER 07/01/2011. Ohio license ISSUED OR RENEWED ON OR AFTER 03/23/2015. Links for each of the states can be accessed by clicking on the map above to check the proper conceal carry procedures prior to traveling. Each state regulates firearms laws differently and there is no obligation for one state to inform another of any changes to its law. Persons with a valid Wisconsin Conceal Carry permit should contact any state for information on carrying a handgun prior to entering that state. The accuracy of the information on these websites is the responsibility of each individual state. DOJ will maintain the accuracy of this information on an ongoing basis. If a person believes they have information indicating that a state has been wrongly omitted from the list, they may submit that information to DOJ in writing. Any such information will be reviewed and the list will be adjusted whenever DOJ identifies an inaccuracy. Whether another state will recognize a Wisconsin CCW license is governed by the law of the other state. If the statutes of another state recognize Wisconsin CCW licenses, then a Wisconsin CCW license holder may carry in that state. In addition, DOJ “may enter into reciprocity agreements with other states as to matters relating to licenses or other authorization to carry concealed weapons.” Wis. Stat. § 175.60(18). If such agreements are created, then a Wisconsin CCW licensee holder may carry in that state. Now that the permanent rules are approved, the DOJ will be able to contact other states regarding reciprocity. As this information is developed, it will be updated on the DOJ website. However, a Wisconsin CCW licensee should always contact the particular state where they wish to carry concealed for information on the most current laws of that state.